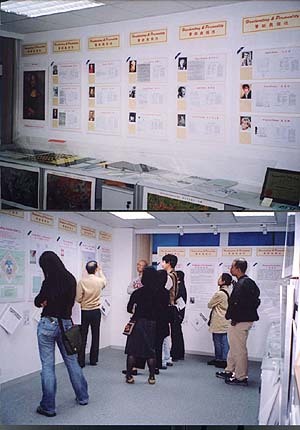 A Graphoanalysis Exhibition was held from 9-13 January, 2004. 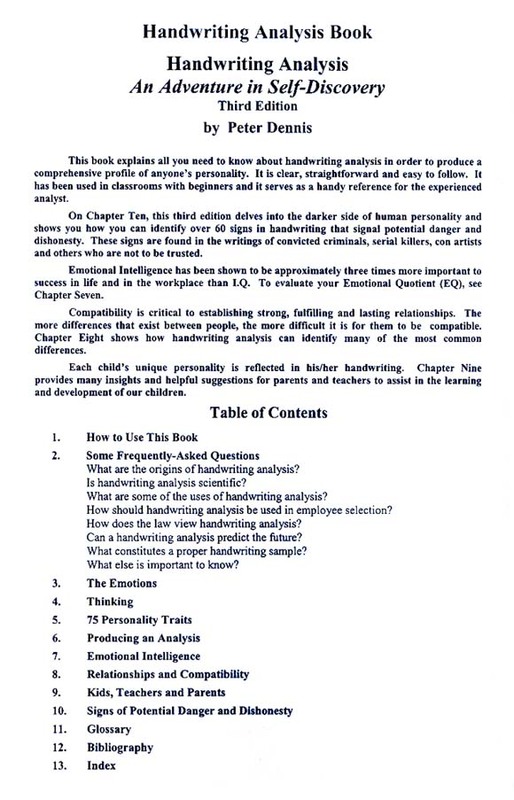 Graphoanalysis is a scientific system of identifying and assessing the character and personality of an individual through a study of handwriting. It identifies strokes in handwriting, relating these strokes to specific personality traits, and evaluating the relative strength of the interrelated traits to arrive at a description of the individualï¿½s total personality pattern. This system was developed by M.N. Bunker (a teacher and expert in a number of shorthand systems in the U.S.A.) some 80 years ago. It is not occult graphology nor is it related to pseudoscientific approaches. It is the only method of handwriting analysis that has been thoroughly researched and tested for reliability and validity. Graphoanalysis is now the registered service mark used by members of the International Graphoanalysis Society, Inc., (IGAS) who are trained in the science of Graphoanalysis and subscribed to the Code of Ethics of the Society. Personality assessment is increasingly important in our society. Graphoanalysis can reveal tendencies toward juvenile delinquency and credit worthiness, vocational strengths and weaknesses, compatibility; and can be used as an aid in personal, marital, and child guidance counselling. 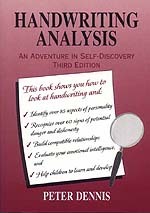 In a society which constantly seeks self-assessment, self-worth and approval, Graphoanalysis provides deep insights into the personality. One can accurately see emotional reactions, styles of thinking, goal distance, achievement traits, imagination, and general aptitudes. In an ever-changing marketplace, this assessment is important in understanding and utilizing abilities. To know one's self is to be able to use one's capabilities to the best of advantage. To know others is to understand them and to be able to work with them. The primary aim of Graphoanalysis is a better understanding of oneself and others. Many heartaches could be avoided if one person understood another. Many marriages could be saved, vocational situations improved, and social and psychological problems handled more intelligently. Many a child would develop full potentialities were he or she completely understood and carefully guided. Graphoanalysis is dedicated to human understanding and happiness as the medical profession is dedicated to physical health. A Few Rules You Can Test The following rules and explanation are intended to interest you in Graphoanalysis and to make it possible for you to test and prove its accuracy. (1) Understanding Emotional Nature Understanding emotional nature is basic to comprehending the whole individual, because the emotional foundation of an individual influences all the other traits. The slant of the upstrokes of writing (Figure 1) indicates the writer's internal emotional responses. While the weight of the writing shows the writer's emotional depth. Some people are cool and level-headed. They can meet emergencies in a calm and collected way (Slant FA). Other persons, however, are very easily excited. They often act promptly on impulse (Slant E+). Between these two extremes are the people who will respond more to emotional situations than the cool ones, yet they are not likely to act as impulsively as the extremely excitable ones. Heavy writing reveals a deeply emotional nature that will carry feeling, hurt or happiness for a very long time. Light writing shows a nature that carries emotional feelings for only a short period. Emotional depth affects all other traits. In a heavy writer the lasting emotional pressure generated can drive the writer to unusual lengths in the expression of a given trait. In a light-line writer the emotions aroused when a trait is triggered tend to be short-lived. When a deep emotion is expressed with any great force, it would be destructive both to the individual and to those affected. In addition to indicating lasting feelings, heavy writing also reflects sensuousness which implies susceptibility to pleasant sensations (sight, sound, taste, smell and touch). (2) Recognizing Mental Processes People process information in different ways and think at different speeds. Usually a writer employs two or more mental processes. Two of them, namely, comprehensive thinking and cumulative thinking, are illustrated in the following. Comprehensive thinking is the ability to grasp ideas and to size up a situation quickly. It is shown in writing by retraced needle-like upward points, most frequently in the m's and n's (Figure 2) which are written like w's and u's. The taller and more pointed the structures are, the keener and deeper is the comprehension. A comprehensive thinker is a quick learner and alert observer. Needle-like structures are often found in the writing of successful salespersons who must think fast and of bright students who grasp lesson material quickly. Keen comprehension, unless supported by other mental processes, has its pitfalls, because a comprehensive thinker may be biased or inaccurate in his/her conclusions. This is especially true in the case of highly responsive writer. Cumulative thinking is characterized by the accumulation of ideas and data, which are built up step by step to reach a conclusion. Cumulative thinking is slow but methodical. It is shown by well rounded m's and n's (Figure 3). When they are supported by flat topped r's, the indication is that the writer possesses creative ability, especially manual dexterity (Figure 4).